Discovered on November 14th 2003, Sedna contributed to the formation of the Dwarf Planets classification and ultimately the demotion of Pluto! With its distant highly eccentric orbit it is one of the strangest objects recently discovered and is still not fully understood. 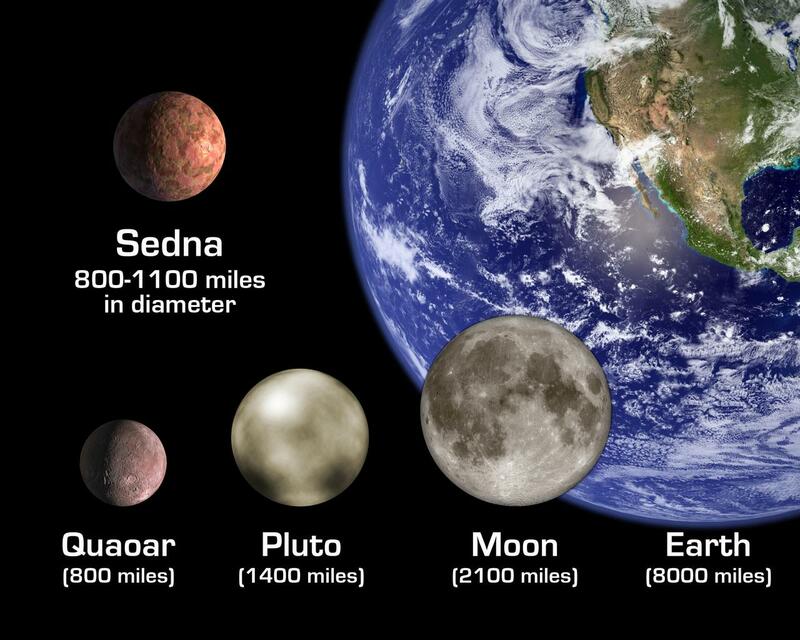 Learn More Interesting Fun Facts About Sedna! 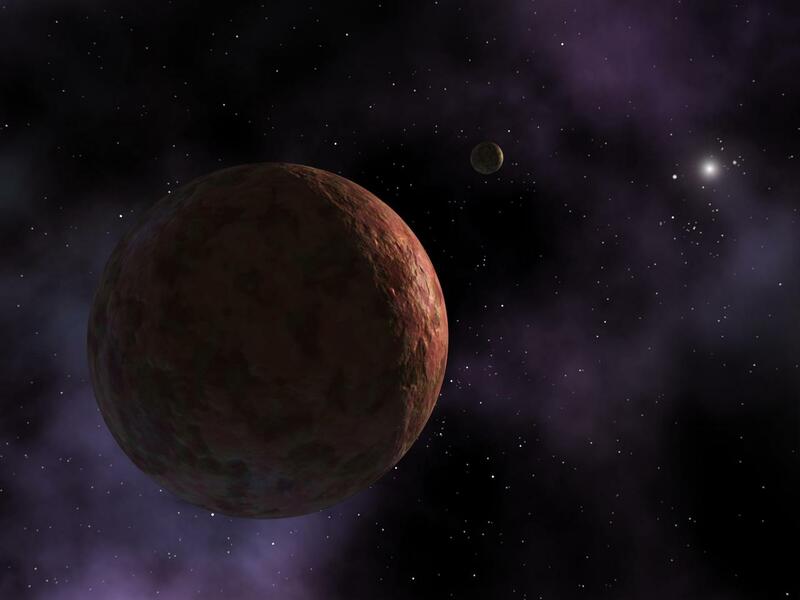 The Michael Brown (from Caltech) led team that discovered Sedna also discovered the dwarf planets Eris, Makemake & Haumea around the same time in the early 2000’s! Designated a minor planet and trans-Neptunian object it is likely part of the inner Oort cloud (possibly the first to be discovered) which lies beyond the Kuiper Belt and scattered disc. In the future, it’s likely to be classified as a dwarf planet if it’s established it has reached hydrostatic equilibrium and formed into a spheroid. 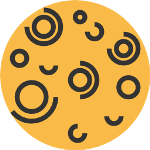 Despite observations being made by the Hubble Space Telescope, no moon has been discovered which makes establishing mass and density difficult and uncertain. Therefore, it’s currently the largest outer Solar System object to have no natural satellite. The orbit of this body is extremely elliptical (eccentricity of 0.855) meaning it looks more like a stretched ellipse than the circular orbits of the Planets. Scientists believe the orbit was perturbed by another large mass at some point in its history. Sedna’s aphelion (furthest point in its orbit from the Sun) is one of the furthest ever discovered with only some long-period comets extending farther. Sedna will reach its perihelion (closest point in its orbit to the Sun) of 76 AU in 2076 and yet still be 2 ½ times the distance Pluto is from the Sun! From a distance of 76 AU the sun will appear a small very bright star about 100 times brighter than the full moon. For some perspective, from the Earth, the Sun appears 400,000 times brighter than the full moon! It is one of the reddest objects in the solar system, almost as red as Mars. Due to its extremely cold surface, it’s believed the surface is covered with frozen methane, ethane and nitrogen as volatiles are likely to be solids on such a cold object. 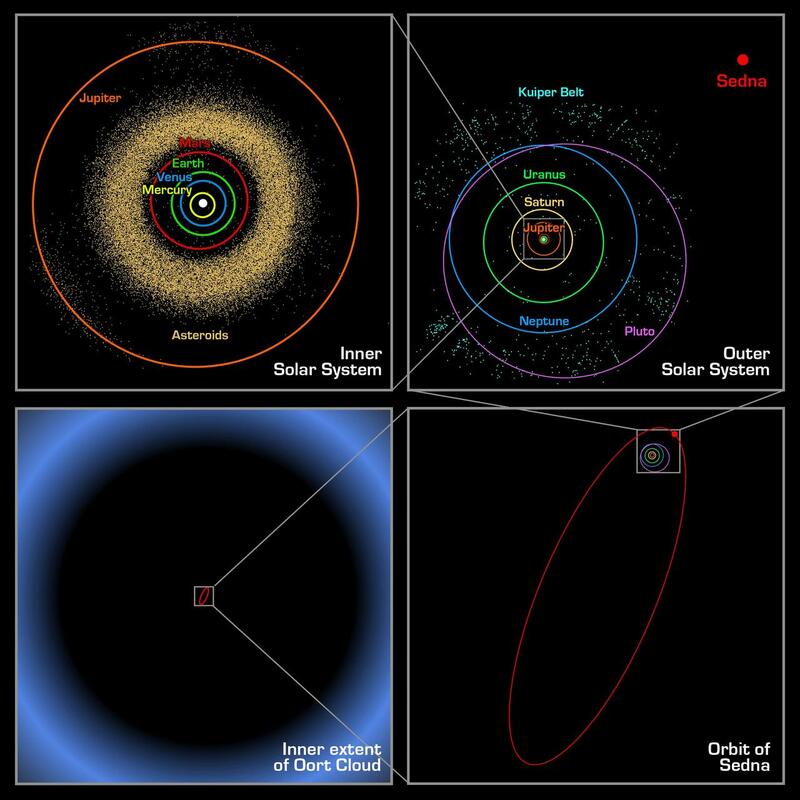 There are no plans from any space agencies to send a probe, but there is time as its orbit is still bringing it closer to Earth until 2077 by which point it is likely many more inner Oort cloud objects would have been discovered. Sedna is really still a bit of a mystery and is quite unusual. The astronomer Michael Brown (co-discoverer of Sedna and the dwarf planets Eris, Haumea, and Makemake) thinks that it is the most scientifically important trans-Neptunian object found to date because understanding its unusual orbit is likely to yield valuable information about the origin and early evolution of the solar system. How The Solar System Formed And Evolved!